Hi there! 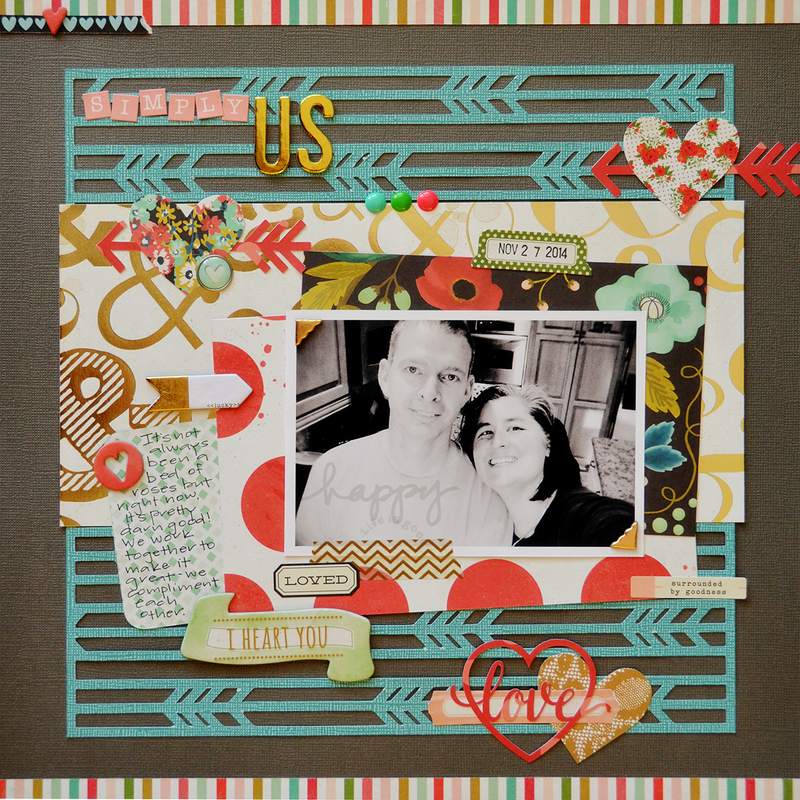 Suzanna here to share with you a love-ly layout created using two great Valentine's/love cut files from 17turtles. 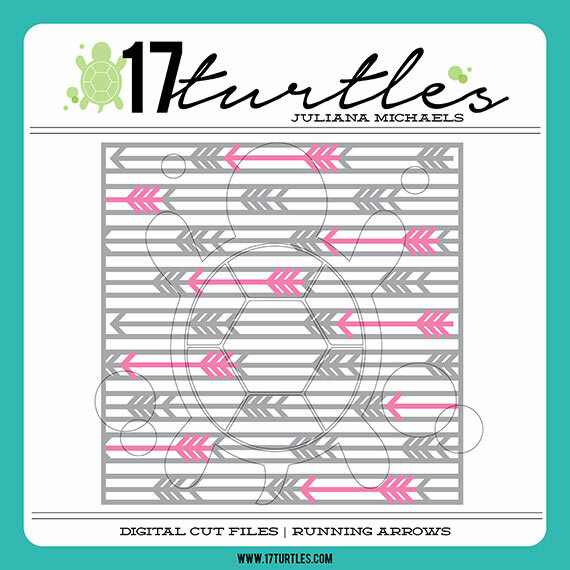 Now that Valentine's Day has come and gone and you have some great pictures to scrap, what better compliments than 17turtle cut files?! When you purchase the Running Arrows cut file, you are actually getting more than just a background! There are two files incorporated into one; the background repeated arrows and separate arrows which you can either overlay on your project or separate. I have done both here on my layout. I overlaid a different color arrow on the top right and then used it separately on the ampersand paper. The other file I used on this layout and would be great for a love or Valentine's day themed layout is Speech Bubbles Love. Four GREAT files for one low price! The great thing about Juliana's files is that they are so incredibly easy to elongate, shrink, enlarge or manipulate in any way that you need to to have them work on your layout. 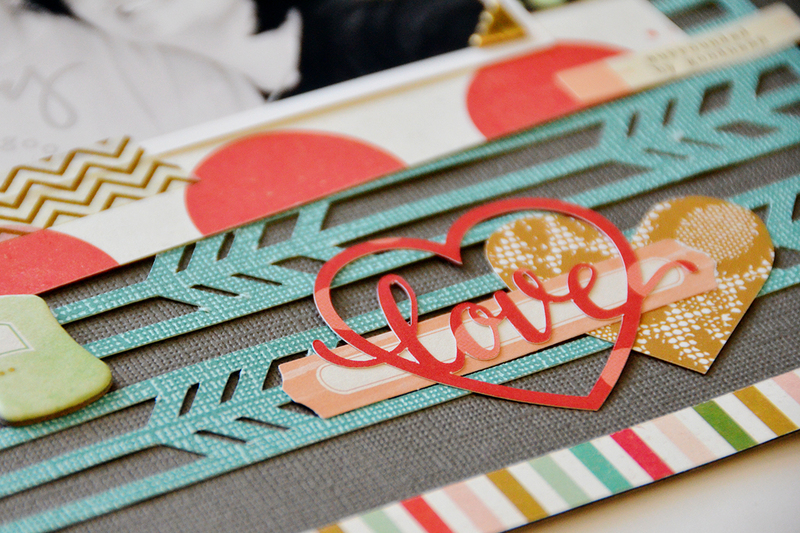 Be sure to stop by my personal blog next week for another love layout. 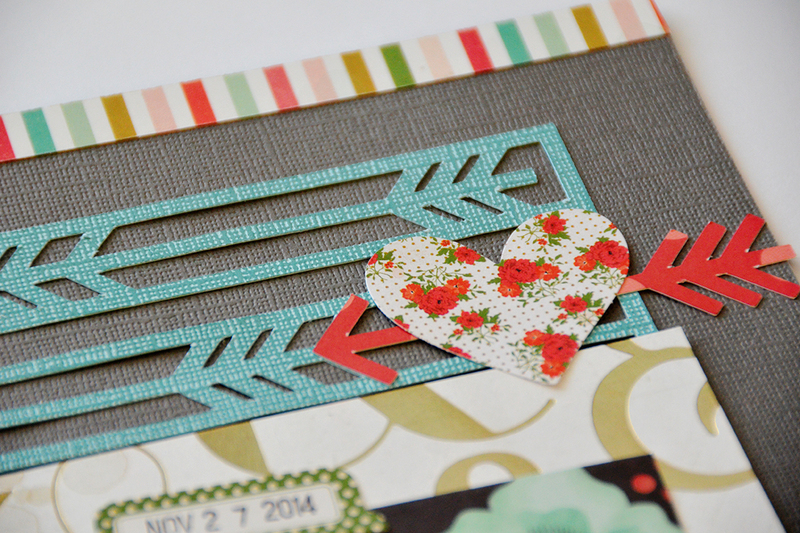 Juliana created a Custom Cut File just for me (be sure to check out how to have one created just for you!) to use on a layout of my Mum and Dad on their wedding day! Do you see how you could use either of these great cut files with any of the pictures you took this weekend? Or perhaps, pictures from just an ordinary day, like the one I used here? This is gorgeous! LOVING all the arrows!!!!!! Fabulous page Suzannah! Love it! This is amazing layout! Love that stripe background! I LOVE this! That background file is so fun!